Shorter Suede version of the Original Moon Boot by Tecnica. 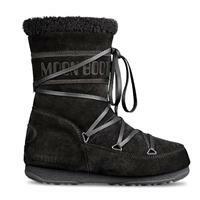 Looking at the adventure that has been the Moon Boot is like taking a journey backwards in time with regard to fashion and social customers. Step by step, the Moon Boot has kept up with on-going changes in time, often anticipating and developing new trends while keeping faith to their own personal styling. 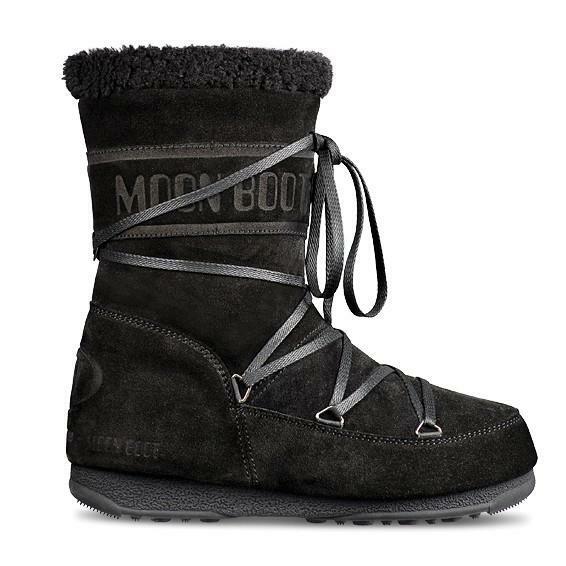 The Moon Boot iconic product that has invented an entire new category. It symbolizes an epoch and it has become an icon of fashion and international design. The Moon Boot has been extremely successful right from the launch to the market, acquiring immense popularity in a very short time. The unmistakable rounded shape that is both ergonomic and practical. and the well documented capacity to evolve and reinterpret new visual trends, has made the Moon Boot an international symbol of creativity. Designed and made in Italy.